Off to Universal Studios in Japan? See our insider advice for a queue-free visit as well as opening times and phone numbers! Major public holidays are the busiest time of the year. Avoid visiting the park during Golden Week (end of April - beginning of May), New Year holidays and the “Bon” festival season — the week around August 15. That’s when you’ll have a big flow of visitors from all over the country. Osaka is at its prettiest in spring, with parks covered in a mist of cherry blossoms. 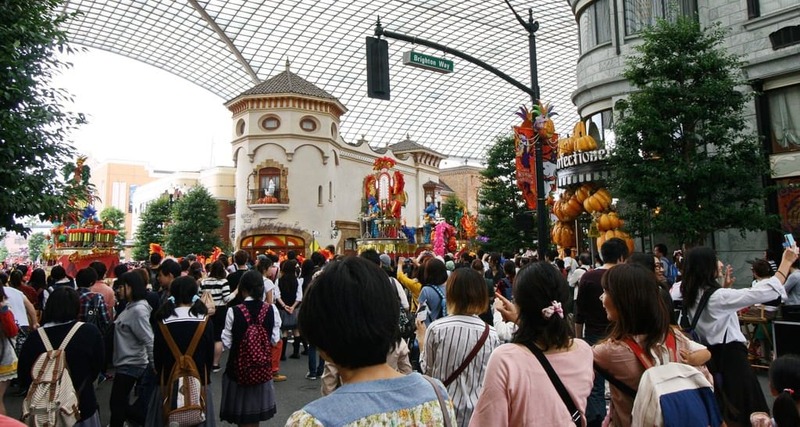 This occurs from March to mid April, and the Cherry Blossom Festival is one of the peak seasons for the city and for Universal Studios as well, with waiting times often exceeding an hour for popular attractions. During the year the smallest crowds are in January (after the 6th) and February, but those are also the coldest months, and it may be freezing cold. Think twice! In summer it’s very hot and humid, yet very crowded. The second half of July and all the month of August are part of the peak season. Avoid especially visiting the park close to 24-25 July, when the Tenjin Matsuri, a much attended festival in Osaka, takes place and in mid-August (the “Bon” festival time throughout Japan). October to December would probably be the best time to visit the park, with mild temperatures and moderate crowds. Avoid however the Labour Thanksgiving Day weekend (end of November), the Emperor’s Birthday (23rd of December) as well as school holidays (the last week of November and winter holidays, from December 20 to January 6 in 2014-2015). Saturday is the busiest day of the week, followed by Sunday while the smallest number of visitors is during the week on Tuesday, Wednesday and Thursdays. Give preference to weekdays, especially during high season. That will save you time and prevent you from queueing at the entrance! You can buy them here. Check the official website and prioritise the attractions that inspire you the most. Be aware that the Harry Potter ride will probably have the longest waiting time (it’s the newest attraction) and it may be necessary to book your place. If the day seems cloudy and there’s a high risk of rain - better to hit the Hollywood Dream as early as possible. It’s the only outdoor roller coaster, and it is closed when it’s raining. Even if they open the ride once the rain finishes, there’s usually a giant queue afterwards. If coming in peak season - consider buying a Universal Express® Pass: it will shorten your waiting time for popular attractions, you can use it 3, 5 or 7 times (see the official website for pass prices). It’s doesn’t work in the same way as Disneyland Fastpasses with their queue-free access, so be prepared to wait however little amount of time (the wait time with the pass may be 20 minutes compared to 1,5 hours of wait in a standby queue). It’s still a great way to save time at the park. Most shops get super crowded towards the end of the night, better check the souvenirs in the early afternoon to avoid evening crowds. Use the Child Switch system: it enables guests with children/companions who do not meet an attraction’s height or other requirements to take turns and enjoy the attraction without waiting in line again. Use the Single Rider waiting line. You can significantly shorten your waiting time by taking separate seats on the ride. Just ask a cast member for the single rider line, it’s available on most popular attractions at the park. Re-entry to the park is not guaranteed, so you’re supposed to stay inside and eat on the park territory. Grab a sandwich and a bottle of water with you to save money, as the food in the park is quite expensive. You’ll get wet during the Jurassic Park ride. It’s not the best idea to go on this ride during rain (part of the ride goes outdoors). Plan to take something to change into after if you’re coming when it’s cold! The easiest way to get to Universal Studios is by railway: the nearest station is JR Universal City station. 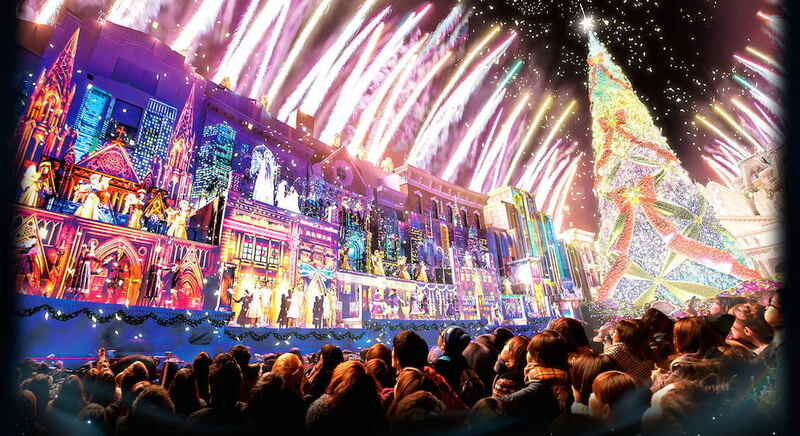 Feel free to comment or give your opinion on Universal Studios (Osaka, Japan). However, please agree to respect our terms. Please don’t post defamatory, insulting or disparaging comments- as we will have to moderate them. Instead, explain what happened in a factual way.